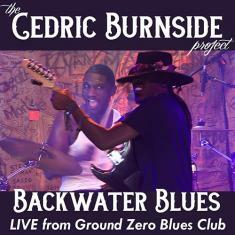 Grammy® Nominee The Cedric Burnside Project "Backwater Blues" To Drop on February 12! A Pass The Pick Productions Artist! via Pass The Pick Productions/BFD/The Orchard. A brand new multi-cam HD VIDEO and audio single of the classic 1926 Bessie Smith song "Backwater Blues" performed by The Cedric Burnside Project hits the airwaves on February 12. Cedric Burnside and Trenton Ayers, who together form The Cedric Burnside Project, are today's living connection to the traditional Mississippi Hill Country Blues genre, and Pass the Pick Productions has captured that spirit and sound with a new video and single of the classic Bessie Smith tune "Backwater Blues". The songstress penned the tune nearly 100 years ago. The new version of the song was recorded and captured live in multi-cam HDTV at actor Morgan Freeman's Ground Zero Blues Club at "The Crossroads" in Clarksdale, Mississippi. Burnside is the grandson of the late blues legend R.L. Burnside, and son of drummer Calvin Johnson. He has five (5) consecutive Blues Music Awards and was nominated for the sixth time this year. He is also a two time Grammy® nominee. The "Backwater Blues" track features Burnside on drums and vocals, and Ayers on electric guitar. It is part of an original music series that Paula Kennedy, Bo Harrigan and Johnny Reid of Pass the Pick Productions are producing (Reid also directed the video). The track was mixed by engineer Frank Harris at his Third Wave studio in Oakland, CA. Pass the Pick invited six artists to each pick a song from Sir Paul McCartney's MPL publishing catalog, www.mplcommunications.com. "Backwater Blues" was the tune that Burnside and Ayers chose to play in front of a live audience. "Although Hill County Blues is decades old, Burnside's interpretation of the genre cuts deeper than most modern takes." Dexter Allen released his newest album on November 30, 2018. The magic was recorded live from "The Crossroads", at Ground Zero Blues Club in Clarksdale, Mississippi. Actor Morgan Freeman is the club owner. 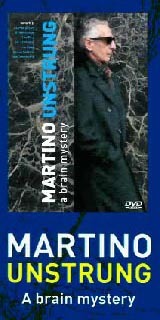 The new material was captured in state-of-the-art, multi-track format from the soundboard of a new HD television show.